Sometimes the idea of building wealth through investing seems impossible. This can be especially true if you have little savings and little extra income to invest with. If that’s you, you might think that investing with smaller amounts of cash is pointless. However, the truth is that even if you start investing with only $1000 you can build wealth. Your investments still have the potential to grow to six or seven figures. I remember reading a story one time about a couple in their sixties who were millionaires. When asked about how they got to millionaire status, they had one simple piece of advice. They said, “We started by saving only ten dollars a week. We never dreamed our savings would grow to this magnitude”. Are you feeling like it’s useless to start saving and investing because you have very little money to begin with? If so, don’t give up just yet. No matter how much money you have to start with, you can build an investment nest egg. And you can build one that’s big enough to fund your financial dreams. You just have to start by choosing some of the investments we’ll talk about below. To begin, the first rule of smart investing is to understand the power of compound interest. Check out the chart below. Most people think that investing is of no use when you’re starting with a smaller amount. However, compound interest is a powerful tool no matter how much cash you are starting out with. Let’s say you started an investment account with just $1000. You added $25 per month to the account and gained a ten percent rate of return each year. In fifty years you would have nearly $400,000! You see, the awesome thing about investing is that it doesn’t matter how small of an investment you start with. Given some time, compound interest will grow your money like crazy. So the key is simply to start, no matter how small your initial contribution. And no matter how little you contribute monthly. The truth is that it all adds up over time. Using the chart above as an example, it might seem like 50 years is a long time to invest and wait just to reach $400,000. However, let’s say you start investing early, say at age eighteen. The $400,000 you would accumulate by age 68 might mean the difference between retiring and not retiring. No matter how much (or how little) you have to invest right now, just start saving. Chances are you’ll be able to increase your monthly investment amount as time goes on. This means your nest egg could grow to proportions you never thought were possible. The same is true for other types of investments. Let’s say you invested in a business. Compound interest growth may not apply. However, if you work hard at growing your business, you can compound your monetary returns from that business. Before you start investing, you need to know a bit about the different types of investing. You need to know what you’re getting into before you put your money down on the table. So check out different types of investments. Work to determine which types of investments are most suited to your risk tolerance and your knowledge base. Start reading up on the different types of investments (there are thousands of articles on the Internet). It will help you learn to decide which investment avenues might be best for you. Also, take some time to figure out how long you want to invest the cash before you want to use it. Some investments do better over the long term even though they may seem volatile during the short term. The general rule is that the shorter the time you want to invest the cash, the lower risk you should take. Diversifying your investments is also important. You should be wary of putting all of your money into one investment. Be careful not to put all of your money into one company’s stock or other singular investment. Instead, lean toward “basket” type investments. These include index funds, mutual funds or real estate-based funds such as Fundrise. Fundrise helps people invest in real estate via a crowdfunded approach. Although they do require $1,000 to start, it is one of the least expensive ways to start investing in real estate. Diversifying your investment choices will help protect you from market downturns. It will also help protect your money from economic ups and downs, whether personal or global. Now we’ll talk a little bit about a few different types of investments. It’s smart to check out the fine print when investing in the stock market with small dollar amounts. Brokers who charge high fees can eat up the profits of beginner investors real fast. However, when done right, beginner investors who start investing with smaller dollar amounts can grow some serious wealth. You can build wealth through the stock market by purchasing stock funds, index funds, etc. Education is key before you start socking money into the market. Luckily, the Internet is filled with great articles explaining the ins and outs of stock market investing. Also, there are great books on investing by experts such as John C. Bogle and Warren Buffett. Read books and articles by investing experts. This way you can begin to understand how to make money through the stock market. Beware of get-rich-quick schemes and other promoted methods that promise big profits overnight. Smart stock market investing involves a “slow and steady wins the race” mentality. And it also involves sticking with your investment through the ups and downs of the market. In addition, beginner investors will want to choose a brokerage account that they can manage themselves online. This is especially true if you’re starting with a smaller amount of cash. These types of brokerages charge little or no fees. So this way you can be sure that as much of your money as possible is used for growing wealth. Here are some options for stock investment accounts for beginner investors. One of my favorite investment companies is Ally Invest. I like them because they allow you to begin investing with no account minimum. Also, stock and EFT trades are as low as $3.95 each. Ally Invest is considered a “self-directed” investment firm, which means they don’t provide investment advice. Instead, they provide custom charts and other investing tools to help you analyze trades and performance. This way you can learn to make your own educated choices about what to invest in. With Ally Invest, you can access your investment account via multiple types of devices. This allows for easy and convenient investing. In addition, they also keep you aware of the latest investing information. They do this with live news streaming information. Betterment is another company that offers stock investment accounts. One of the cool things about Betterment is that they charge you zero for transaction fees and trade fees. Since they will actually give you investment advice, they’re a little different than Ally Invest. They base their advice on your risk tolerance and how long you have to invest. Betterment charges an annual fee, but it’s super affordable (0.35% on accounts with balances below $10,000). This is a benefit for clients who make a recurring account deposit each month of at least $1000. Motif can also be a great option for you as a beginner investor. There is no account minimum at Motif for investing in individual stocks or EFTs. However, to start investing in a motif (a basket of up to thirty stocks or EFTs), you’ll need a minimum balance of $300. With traditional investment accounts, you have to pay a fee per stock that you purchase. However, Motif allows you to create a fund with up to 30 stocks for just $9.95. That is almost a $300 savings compared to if you were planning on buying individual stocks. Online savings accounts are an option to make money if you are nervous about investing in the stock market. Most banks pay next to nothing. However, CIT Bank pays up to 2.15%, which is much higher than you’ll find at any local bank. You won’t get rich by investing only in high-yield savings accounts. But you will get paid much more than you would at most traditional banks. Another less traditional investing option is peer-to-peer lending (often called P2P lending). Peer-to-peer lending companies such as Lending Club and others like it work differently than banks. With P2P companies, investors choose to lend money to those seeking personal loans. Loan applications get analyzed and approved by the peer-to-peer lending staff. Then those loans are offered to investors who can contribute all or a portion of the loan amount to the applicant. Detailed information about the loan applicant (such as credit score and payment history) gets shared with potential investors. When investors open a Lending Club account, money is withdrawn for loans as the investor chooses. They lend money to borrowers after reviewing the borrower’s credit and other facts. When a borrower makes a loan payment, you (the investor) get paid back – with interest. It’s important to be aware of the fact that you can lose your cash in a peer-to-peer lending investment. If a customer you choose to loan money to decides to stop making payments, you’ll lose your investment. However, many people choose to invest in peer-to-peer lending and are happy with the results. Proceed with caution if you choose this route. No matter which of these investing routes you choose, you can start earning money on your cash. But only if you’re willing to take the plunge and open an account. And luckily, many of these businesses will let you invest even if your account only has $1000 in it. Many people choose to grow their money by investing in a business of some sort. Some people choose to invest in an existing business, while others choose to start their own. Personally, I have found success with business ownership by starting an SEO company. Investing in a business can be costly, but even those with only $1000 to invest can make money with their investment. In the case of my SEO company, it cost very little up front to start. This is because the business involved using my skills. I could share my knowledge with people and help them get better rankings with their websites. And I only needed my knowledge and my laptop. Fortunately, there are many business startups you can do with only $1000. Consider Chris Guillebeau, author of The $100 Startup: Reinvent the Way You Make a Living, Do What You Love and Create a New Future. He wrote a book sharing what he learned from interviewing over 1500 business owners. And each business owner started their businesses with a smaller amount of capital. You never know; maybe you’re one of those people. You might be able to turn doing what you know and love into a business that grows into unimaginable wealth. I’m not saying that this will happen without a lot of hard work. Growing a business always involves hard work. However, if you are willing to put in the time, you might be able to grow a successful business even without having to put down a lot of cash up front. Another way to consider growing your $1000 into a lot more is to invest in yourself. By that, I mean invest in yourself to learn more about how to grow your skills, and eventually your net worth. You can do this in a number of ways. The more you learn about money, whether earning, saving or investing, the more tools you have to grow wealth. In fact, in Thomas Corley’s book, Rich Habits, he shares that 88% of wealthy people read at least 30 minutes every day. And they’re not reading rag mags. Instead, they’re reading books that will educate them on improving their skills. So consider investing your $1000 in yourself and see where it leads you. This is one investment I can’t overstate enough. When my wife and I were first married, we were sitting with over $52,000 in consumer debt. It was like a weight hanging over our heads. Through a lot of hard work, we paid off that $52,000 in debt in just 18 months. That one (albeit tedious) step has led to exponential wealth growth for us. Putting an extra $1000 (or $1000 per month) toward debt may not seem like it will do much good. But I promise you that it will add up because you’ll be paying less interest on the debt over time. And once you’re debt free, you’ll have more money to save and invest. Contributing regularly to your investments is definitely one of the keys to successfully building wealth. And it doesn’t matter if you’re only contributing a small amount. Of course, contributing more money each month helps. The more money you put into your investment accounts each month, the more compound interest can work to grow your wealth. But the habit of making monthly investments is the most important thing. Consider making a habit of contributing to your investment accounts on a regular basis. Do this by treating them like a bill. Talk to your bank or investment firm about setting up an automatic transfer. They’ll transfer money each month from your bank account to your investment account. This will help you to make regular deposits on the same day every month. Automatic investments will help you eliminate the need to think about investing each month. It just happens magically for you. But if you leave your investment deposits as a non-automated “choice,” you might not make the investments. Instead, you might find yourself making excuses for why you can’t contribute. Bills will come due, as will the chance to spend the money on other things. However, if you choose to treat your investment account like a bill, you’ll “set it and forget it.” When you automate savings and investments, you can train your mind to forget the money ever existed. So you’ll probably find your investment growing at a more rapid pace than you had imagined it would. And your future self will thank you as the account grows trying to reach the six and seven digit figure range. In the process, you’ll create a more secure future for you and your loved ones. Banco Santander, S.A., doing business as Santander Group, is a Spanish multinational commercial bank and financial services company founded and based in Santander, Spain. In addition to hubs in Madrid and Barcelona, Santander maintains a presence in all global financial centres as the largest Spanish banking institution in the world. Although known for its European banking operations, it has extended operations across North and South America, and more recently in continental Asia. Santander make it easy to put aside funds for the things you want in the future — whether it’s a tablet, a new car, a dream vacation or a down payment on a house. Whatever your goal, whatever your time frame, one of their savings accounts will put you on the right path. A great way for those under 18 years old to establish good savings habits. 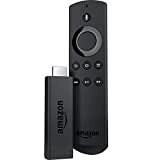 Get started with as little as $10. 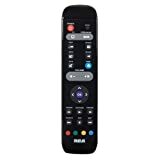 Part of our Premier offering for Premier Plus customers. For Santander Premier Plus Checking customers. Personal attention from a dedicated banker who will coordinate your everyday banking needs. Dream. Plan. Invest. You have ideas for your future. Whatever your vision, Santander Investment Services can help create a clear, easy-to-understand financial strategy, customized for you. Whether your investment needs are simple or sophisticated, we offer access to a full range of financial products and services. And our financial consultants have the experience and knowledge to help you reach your goals, at every stage of life using a financial planning approach. See how a Santander Investment Services Financial Consultant can help you access highly personalized strategies for retirement planning, asset allocation1, college planning and other short and long-term goals. This service is designed for investors who prefer to have their money actively managed for them. You can work with a Santander Financial Consultant who can help you develop a portfolio based on your financial plan, risk/reward parameters, and desired level of involvement. Help protect your family with life insurance, long-term care and disability income insurance. Speak with your Financial Consultant to learn more. Welcome to the official website of McDonald’s UK. Learn more about our menu items, promotions, and much more. Portuguese soccer star Cristiano Ronaldo reached a deal with Spanish prosecutors in his tax-evasion case, agreeing to a massive fine and a prison sentence, though he is unlikely to serve any time because he’s a first-time offender. The news was reported Friday by Spanish newspaper El Mundo just hours before Portugal was set to take the field against Iberian rival Spain in its World Cup opener. Ronaldo, who has played for La Liga titan Real Madrid since 2009, was accused by Spanish authorities of evading 14.7 million euros (about $17.1 million) in taxes between 2011 and 2014. Prosecutors allege that Ronaldo set up a company in 2010 to manage his image rights in the British Virgin Islands but then transferred those rights to a second company in Ireland, solely for the purpose of creating a “screen” to confuse Spanish tax authorities. For some, Wall Street is the perfect fit. It’s cut-throat, super competitive and it takes a lot of discipline to put in all those long hours. So it should come as no surprise that there are a bunch of former football stars working in trading, investment banking and wealth management. We’ve compiled a list of some of the best football players in finance. (Note: These names are not in any particular order). Many of these guys played professionally before heading to Wall Street. Others were standouts in college. Some have even done internships at investment banks during the off-season while still playing in the NFL. If we’re missing any big names, feel free to send an email to jlaroche@businessinsider.com to add to the list. A photo would also be greatly appreciated. Under the agreement, that amount was reduced to 5.7 million euros (about $6.6 million). He will pay a fine of 18.8 million euros (about $21.8 million) but likely will not head to prison because, under Spanish law, first-time offenders who are sentenced to less than two years may serve their time on probation. The 33-year-old forward, one of the world’s best and highest-paid players, denied the allegations through his representatives, according to Reuters. He originally offered to pay a 14 million euro fine (about $16.2 million), but Spanish officials countered with 18.8 million euros, which El Mundo said he accepted. In 2016, Argentine star Lionel Messi — who plays for Real Madrid rival Barcelona — and his father were found guilty of similar tax-fraud charges in Spain, each of them receiving 21-month prison sentences that were not served because of the country’s first-time offender system. The court found Messi had funneled income earned from his image rights through countries such as Uruguay, Switzerland and Belize, evading more than 4 million euros (about $4.6 million) in taxes from 2007 to 2009. Messi paid 5 million euros (about $5.6 million) in back taxes in 2013, and he and his father were fined 2 million euros (about $2.2 million) and 1.5 million euros (about $1.7 million) after their guilty verdicts. 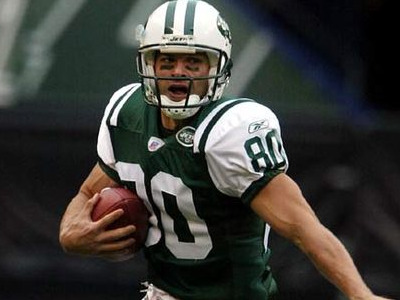 BBC Sports|Football Sports|Former NFL wide-receiver Wayne Chrebet now works at Barclays. Finance Job: He an assistant vice president in the wealth and investment management division of Barclays. Highlights: Chrebet played 11 seasons for the Jets. He set the NFL record for the most receptions by a wide receiver during his first two seasons. During his NFL career, he had 580 receptions and 41 touchdowns. Former Jets quarterback Richard Todd works in fixed income sales for JPMorgan. Finance Job: He works at JPMorgan in fixed income sales, according to a source. Highlights: During his pro career, he made 124 touchdowns and 161 interceptions. Brad Daluiso, who works at Morgan Stanley, played in the NFL for 11 seasons. Finance Job: He works at Morgan Stanley in San Diego,FINRA records show. 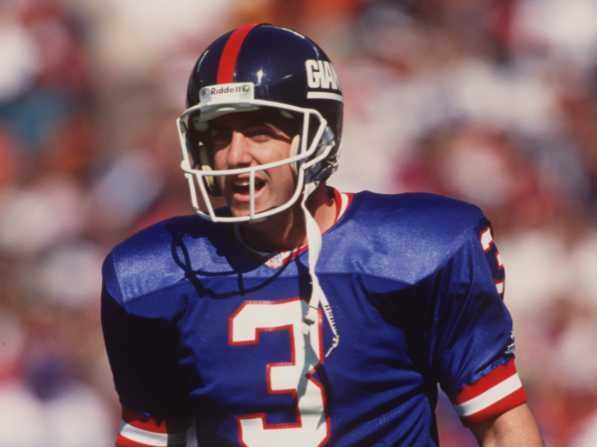 Highlights: He played in two Super Bowls — XXVI for the Bills and XXXV for the Giants. 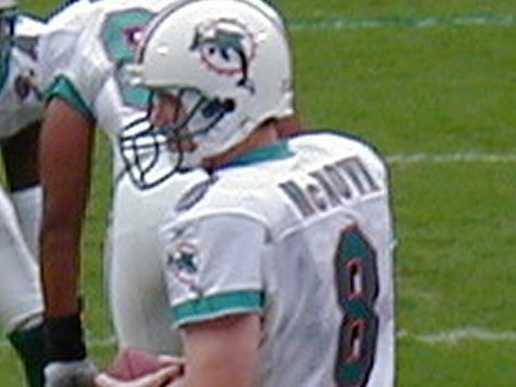 Cade McNown, who previously worked at JPMorgan, played four seasons in the NFL as a quarterback. Finance Job: He recently joined Beverly Hills-based Lourd Capital Management,FINRA records show. McNown previously worked at JPMorgan Securities and UBS. Pro Teams: Chicago Bears, Miami Dolphins and the San Francisco 49ers. Highlights: While in the NFL, he had 515 pass attempts with 281 pass completions. He made 16 touchdowns while playing professionally. Thomas ‘Touchdown Tommy’ Vardell now runs a private equity firm. Finance Job: He’s a managing director/co-founder of private equity firm Northgate Capital. Highlights: While at Stanford, he earned the nickname”Touchdown Tommy.” During his nine NFL seasons, he scored 87 points. 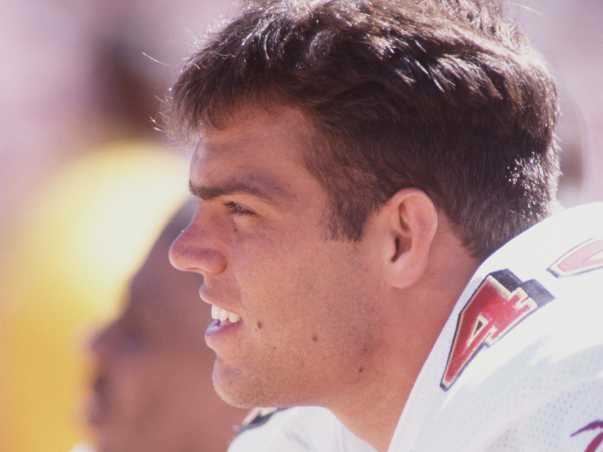 Brent Jones, who played for the 49ers, co-founded a private equity firm with Tommy Vardell. Finance Job: He co-founded private equity firm Northgate Capital. Highlights: He was drafted by the Steelers in 1986. Shortly after, he got in a car accident and injured his neck. He wasn’t able to play and eventually got cut. The San Francisco 49ers signed him as a free agent and he became a star. While playing for the 49ers, he had 417 receptions and 33 touchdowns. To exchange Bitcoin in the UK, you need an exchange. Now, we’re not trying to insult your intelligence by phrasing it like that. The reality is, you need an exchange to buy Bitcoin. Naturally, with the industry buzzing, there’s plenty of choice out there for the average consumer. Of course, having too much choice can be as much of a curse if you don’t know what you’re looking for. Fortunately, we’re here to help. Using our team of experts, we’ve reviewed all the best Bitcoin exchanges in the UK and we’re about to tell you exactly where to find them and why they’re hot prospects. Over 4,355 consumers voted Erorectin as their number one choice of Male Enhancement Supplement. Its powerful formula helps with Libido and Stamina, Supports Your Endurance with Harder and Longer Erection, also works as a testosterone booster. We believe this brand can deliver the result you need. Erorectin contains 100% pure natural ingredients, no cheap filler, no binders and no artificial colors; 3rd Party Lab Tested backed by a 1 Year (365 Days) Risk Free 100% Money Back Guarantee. Made in the USA with all-natural, fast dissolving veggie tablets and are made in an FDA registered laboratory that is cGMP certified and 3rd Party Tested. Düsseldorf Die fünfte Staffel der Vox-Sendung „Die Höhle der Löwen“ hat begonnen: Gleich drei Start-ups aus NRW präsentierten vor der Experten-Jury ihre Gründerideen. Mit dabei: eine kulinarisch Neuheit, eine Hilfe im Haushalt und der „Tesla der Friseurbranche“. Jeder kennt das Problem: Beim Staubsaugen landet nicht nur Staub und Dreck im Beutel, sondern versehentlich auch Schmuck und Kleinteile. Und was jetzt? Das fragte sich auch Tobias Gerbracht vor zwei Jahren, als er seiner Oma helfen sollte, ihren eingesaugten Ohrring im Staubbeutel zu suchen. Zwei Jahre Forschung später stellte der 20-jährige Wuppertaler seine Lösung auf das Alltagsproblem vor – als Auftakt der neuen Staffel der Vox-Sendung „Die Höhle der Löwen“. Tobias Gerbracht präsentierte in der Show den „Catch Up“ (deutsch: Fang auf). Dabei handelt es sich um einen Staubsauger-Adapter mit einem Auffangbehälter, der an unterschiedliche Staubsauger angeschraubt werden kann. Durch einen speziellen Filter wird Staub und Dreck in den Filter gesaugt, Gegenstände wie Schmuck oder Kleinteile landen aber im Filter. „Eltern müssen sich zukünftig nicht mehr über eingesaugte Legosteine ärgern“, sagte Gerbracht. Ein starker Auftakt in das fünfte Jahr „Höhle der Löwen“: Auch in dieser Staffel stellen Gründer ihre Geschäftsideen vor und buhlen um finanzielle Unterstützung sowie Expertise der Investoren. Die Jury besteht aus Finanzunternehmer Carsten Maschmeyer, Tech-Investor Frank Thelen, Vertriebsexperte Ralf Dümmel, Teleshopping-Expertin Judith Williams, Familienunternehmerin Dagmar Wöhrl und Manager Georg Kofler. Mit seinen 20 Jahren hat Gerbracht schon einiges vorzuweisen: In den Jahren 2016 und 2017 gewann er beim Nachwuchs-Wettbewerb „Jugend forscht“. „Ich habe schon mit sechs oder sieben Jahren angefangen, Maschinen aus Lego zu bauen“, erzählt er in einem Einspieler. Außerdem habe er als Kind einen Toilettenpapierspender konstruiert. Im Gymnasium in Wuppertal entwickelte er zudem eine Messstation für Schadstoffbelastung. Mittlerweile studiert er „Industrial Design“ in Wuppertal und arbeitet als Dozent an der Jugend-Uni. „Ich habe alle Energie und Zeit da rein gesteckt“, sagte der 20-jährige Erfinder. „Mein Traum ist es, dieses Produkt auf den Markt zu bringen – alleine schaffe ich es aber nicht.“ Er forderte 100.000 Euro für 35 Prozent Firmenanteile. Es gebe 36 Millionen Haushalte in Deutschland, die Bodenstaubsauger nutzen – „der Markt ist groß, und ich möchte ihn erobern“, sagte Gerbracht. Sowohl Carsten Maschmeyer als auch Ralf Dümmel stimmten den vorgeschlagenen Konditionen zu. Frank Thelen stieg aus, weil er „noch nie in seinem Leben“ gesaugt habe und an Staubsaugroboter glaube. Der Wuppertaler entschied sich für Dümmel: „Sie haben die Möglichkeiten in der Fertigung und im Vertrieb“, erklärte er seine Entscheidung. Mit einer kulinarischen Neuheit kam Julia Huthmann (34) in die „Höhle der Löwen“: Sie präsentierte „Jacky F.“, einen veganen Fleischersatz aus Jackfruit vom Jackfruchtbaum. Das Start-up kommt aus Bonn. Das Produkt ist laut ihren Erklärungen reich an Ballaststoffen, kalorienarm, enthält weder Zucker noch Fett und besitzt Bio-Qualität. Die Idee kam ihr 2015, denn sie lebte zweieinhalb Jahre in Sri Lanka. Dort gelte die Jackfruit als „Arme-Leute-Essen“, da an jedem Straßenrand ein Jackfruchtbaum stehe. Beim Geschmackstest durch die Investoren fielen viele Vergleiche zu Fleisch. „Das kommt einer Frikadelle sehr nah“, waren sich die Löwen einig. Das bestätigte den Eindruck der Bonnerin von Messen, wo sie auch ein positives Feedback erhalte. Für Dosen mit Jackfruit, eingelegt in Salzlake, forderte Huthmann 260.000 Euro für zehn Prozent Firmenanteile. Die Dosen werden in Sri Lanka abgefüllt, hier kosten sie 3,69 Euro pro Stück. „In einer ersten Verkaufsphase waren innerhalb von zwei Wochen alle Dosen ausverkauft“, erzählte sie. Bislang liege der Umsatz bei 110.000 Euro. Außerdem gebe es bereits zahlreiche Anfragen aus dem Ausland. Das bestätigte die Bonnerin selbstbewusst, als die Investoren ihre Konditionen nicht akzeptieren wollten. Frank Thelen verlangte erst 25 Prozent, korrigierte sich selbst dann auf 30. Georg Kofler wollte sogar 35 Prozent der Unternehmensanteile. Nach einem kurzen Telefonat mit ihrer Schwester war sich Huthmann sicher: „Ich bin überzeugt von meiner Unternehmensbewertung.“ Sie bot Thelen als Kompromiss 20 Prozent an, er kam ihr auf 25 Prozent entgegen – zu wenig. „Das liegt unter meiner Marke“, sagte Huthmann. Kein Deal für die Jackfruit. „Ich versuche es alleine“, sagte sie. Ein dritter Teilnehmer aus Nordrhein-Westfalen präsentiert in der Erfinder-Show den „Tesla der Friseurbranche“: Friseurmeister Frank Brormann aus Oelde im Münsterland stellt den „Caligraphy Cut“ vor: Mit dem Werkzeug – optisch eine Mischung aus Messer und Pinsel – sollen die Haare schräg angeschnitten werden, sodass sich ihre Oberfläche vergrößert. Das Versprechen von Brormann: „Mehr Volumen ohne Chemie“. Durch seine Erfindung gebe es keinen Spliss mehr und das Styling werde einfacher gemacht. „Ich versuche, Friseuren weltweit das Handwerk leichter zu machen“, erklärte er. Brormann forderte 500.000 Euro für 20 Prozent Unternehmensanteil. Ein gutes Argument: In elf Ländern habe der „Caligraphy Cut“ im vergangenen Jahr 900.000 Euro Umsatz gebracht. Frank Thelen wollte das Geld geben – allerdings für 25 Prozent. Da begannen Wöhrl und Maschmeyer gemeinsame Pläne zu schmieden, um ihn zu übertreffen. Judith Williams bot die geforderte Summe für 25 Prozent Anteile und warb mit ihrem Vertriebsnetz. Daraufhin kündigten Wöhrl und Maschmeyer an, zusammen eine „Jahrtausende alte Industrie revolutionieren“ zu wollen: Sie erhöhten auf eine Million Euro und stellen eine weitere Million Euro Finanzierung in Aussicht. Daraufhin machten auch Williams und Thelen gemeinsame Sache: Für 25 Prozent zogen sie ebenfalls ein Eine-Million-Euro-Angebot nach. Brormann ließ sich schließlich von der Expertise des Duos Thelen/Williams überzeugen. JIM DAVIDSON is appearing on Piers Morgan’s show Life Stories tonight discussing some of the previous controversies of his career during his time as a TV presenter and comedian. But what is his net worth? Jim Davidson, 64, is the latest guest to take a seat on Piers Morgan’s Life Stories show. The ITV show features in-depth celebrity interviews, with previous guests including Nigel Farage and Boy George. This week the pair will be discussing Jim’s past life, covering his career, relationships and controversial scandals. But how much is the comedian presenter worth? The 64-year-old is worth a staggering $10 million (£7.2 million), according to CelebrityNetWorth.com. His career has featured a number of acting and comedic shows, with his most famous being The Generation Game from 1995 to 2002 after taking over from Bruce Forsyth. He also won the 13th series of Celebrity Big Brother in 2014. Yet the star has previously struggled with handling his money and was declared bankrupt in 2006 after failing to keep up with a back tax bill of £700,000. Jim has been married five times; his first wife was Sue Walpole in 1971, who he divorced the following year. This was followed by Julie Gullick in 1981, who he divorced in 1986; Alison Holloway in 1987 and divorced the following year and Tracy Hilton in 1990 who then divorced in 2000. He married his current wife Michelle Cotton in 2009. The star has five children from three of his previous wives; Fred, Elsie, Cameron, Sarah and Charlie. JIM Davidson has claimed he’s skint just two years after earning £150,000 for winning Celebrity Big Brother. The comedian famously was made bankrupt in 2006 after a dip in his career and bills from his various divorces. However, six years on, he still hasn’t managed to keep his accounts in check. Speaking to the Telegraph, the 62-year-old said: “I’ve never saved anything. I haven’t got any money now. None. And apart from my Range Rover, which has done 48,000 miles in eight months, I’ve got no assets at all. No property. The boat “costed him £8m” as he explains after he bought the boat, he went to celebrate at a pub where he met his fourth wife, the split from whom cost Jim £8m through maintenance, housing and school fees for their three children. Now, Davidson – who is married to fifth wife Michelle Cotton – runs the veteran charity Care After Combat. While he has stopped taking a £43,000 salary after being accused of taking money from the charity, Jim admits that he has cut back on the stand-up gigs which have been earning him £400,000 a year. The Sun has claimed that Jim Davidson’s company had just £761 left in its coffers when he went on Celebrity Big Brother. The Star reported that he lost £300,000 in earnings, and spent £100,000 on legal bills after he was arrested as part of Operation Yewtree. The charges were dropped, but not before taking a huge financial toll. The Sun reported that his company, Jim Davidson Limited, made a profit of £19,390 in the last tax year, and had £761 on account when Davidson entered the house. It’s worth bearing in mind that these aren’t his personal accounts – but those of his company – so it’s highly unlikely to be the last £761 he has in the world. However, they aren’t the kind of company accounts to put a smile on anyone’s face. Davidson will have received a comfortable fee for appearing on the show. He’s also likely to get an enormous career boost from winning the show. He is currently on tour and can expect the tickets to be far more in demand than before his TV stint. There are also rumours that he is set to star in a new programme for Channel 5 – although at the moment this has not been confirmed. Reality shows are increasingly a useful boost for celebrities who could do with the cash or the boost to their career. When Dappy went into the house, there were reports that his debts caught up with him too. Apparently his management had to pay debt collectors £6,000 in order to stop them showing up at the Big Brother studios to serve him court papers. Kerry Katona’s debt troubles are well documented, after bankruptcy in 2008. Her appearance on Celebrity Big Brother is credited with helping her finally pay her debts in 2011. However, by 2013 she was forced to declare bankruptcy again. Laila Morse, who found fame as ‘Big Mo’ on Eastenders declared herself bankrupt in August last year – then signed up to appear in I’m A Celebrity Get Me Out of Here. She was reportedly paid £60,000 for her appearance. And in the US, Pamela Anderson has made something of a habit of it. She has had serious debts to pay, and in an effort to get herself back in the black she has appeared in Celebrity Big Brother, Dancing with the Stars: All Stars and Dancing on Ice. You’d like to learn how to invest $1,000. After all, don’t many financial advisers have investing minimums? What if you’re new to investing? Where do you start? But, it’s not enough to know some places to invest – you should learn some best investing practices. I’ll teach you those along the way, too. So grab your stash of cash, and let’s look at some of the best ways to invest 1000 dollars! If you’re the do-it-yourself type, and you have some investing knowhow, you might want to consider picking investments yourself using an online trading platform such as Scottrade. In my Scottrade review, I found Scottrade to be both user-friendly and to have exceptional tools for portfolio growth (Note: I’ve also opened accounts at E-Trade, TD Ameritrade, TradeKing and Motif, but enjoyed the customer service of Scottrade the most). Tip: If you’re going to be picking investments yourself using your $1,000, you might want to pick out some exchange-traded funds (ETFs). ETFs are known for their lows costs and diversification benefits. If you want to invest into the lives of others and earn some interest, there’s a new craze that’s both exciting and reasonable: peer-to-peer lending. As an investor with Lending Club, you can invest automatically using investment criteria. Alternatively, you can manually invest by browsing available loans and picking the ones you like. It’s up to you! Tip: Like any investment, make sure you choose notes that reflect your tolerance for risk. Some notes are riskier to invest in than others, and thankfully, you can see this information at Lending Club’s website. If you’re not very skilled at investing on your own and you’re hesitant to loan money out to particular people online, you might consider hiring a robo-advisor. I interviewed Jon Stein, CEO of Betterment, a popular robo-advisor which grew from nothing to a $3 billion dollar investment company in just under four years. Jon believes the markets represent the success of the global economy. Overall, he expects they will improve over an extended period of time. This view is reflected in Betterment’s software. It’s set-it-and-almost-forget-it investing! Tip: If you’re ready to get a comprehensive, in-depth financial plan in place, you’d probably do better to sit down with a financial planner. If you have your strategy largely in place, try out a robo-advisor. It’s worth a look! 4. Invest in your kids’ college education. But, there’s a problem. Can you guess what it is? College is expensive and is showing no sign of slowing down. Forbes contributor, Mike Patton, points out that college tuition has been increasing by a whopping 5.2% for the last 20 years. If you want your kids to go to college, and you aren’t rolling in the dough right now, you should probably think about saving for their college education. A 529 college savings plan is a great choice, as it has tax advantages that encourage individuals to save for college. These plans are sponsored by the states, so be sure to check out your state’s 529 college savings plan and see if it makes sense for you. 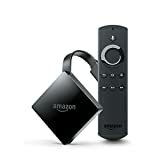 $1,000 is a great start in one of these plans, and depositing the money in such a plan will help you get the technical details of the account worked out so you can continue to contribute. For example, you might be held back by the fear of the unknown. Making a decision to start saving for college today will make it much easier psychologically to invest tomorrow. Tip: If you’re going to contribute to your children’s college education, it’s wise to start as early as possible. The time horizon for college is usually short: a maximum of 18 years. If you’re starting when your children are older, you have even less time. I can’t stress enough . . . start as soon as possible. You need all the time in the markets you can get. That’s what makes paying down debt such a great investment idea. What you’re really investing into is not having to pay lots and lots of interest. This is also why some financial gurus recommend paying down non-mortgage debt before investing for retirement. It’s that important. And, $1,000 might make a big dent in your debt. But if it doesn’t wipe it out, you should truly focus on paying off your debt as soon as possible. Why? Because the Roth IRA allows you to get a tax break on the money you withdraw from the plan during retirement instead of getting a tax break when you put the money in (that means you get some tax-free money). That’s a good thing for many, many people. The other reason is you have a lot of control over your money with a Roth IRA when compared to your employer-sponsored retirement account. Those are two great reasons to start a Roth IRA. But let’s not forget the main reason you should start one: it’s important to save for retirement! You won’t be getting a paycheck from your employer in retirement. No income. None. That’s obvious, but let it soak in for a moment. You’re going to have to rely on other income sources (like your fantastic Roth IRA) in order to survive. Tip: Check out some of the best places to open a Roth IRA and start one today! You’ll be glad you did. One of the worst mistakes financial advisors see is when clients don’t diversify their money. Don’t be like those clients. Be awesome and diversify your money. And yes, you should diversify your $1,000. With ETFs, it doesn’t cost much to diversify your money and make sure you don’t ride the single-stock roller coaster. Well, you could, but you sure wouldn’t be setting yourself up for making smart investment decisions in the future. Be smart with your money even if it’s being smart with just a little bit of money. Practice now for the future. Just imagine how that one little act of investing $1,000 will grow into years and years of interest and sound financial choices. And, don’t forget the power of compound interest. Exponential growth of money is awesome, and you should take advantage of it as soon as possible. While there are so many ways to invest your $1,000, just make sure you do so. Do some research before you invest, but don’t drive yourself crazy considering all of the options. Make a reasonable, but timely choice. The last thing you’d want to do is neglect investing at all because of information overwhelm. A thousand bucks is not a lot of money but it is enough, if you’re shrewd, to make a lot of money. There are also ways to hedge your bets when it comes to playing the stock market. Whether you play the general market or you trade penny stocks, ensure that you set stop-loss limits to cut any potential for significant depreciations. Now, if you’re an advanced trader, you likely understand that market makers often move stocks to play into either our fear of failure or our greed. And they’ll often push a stock down to a certain price to enhance that fear and play right into their pockets. 6. Trade options-martin lewis+ martin lewis money . Für wen ist es kein Traum, sein Geld vom heimischen Schreibtisch aus zu verdienen? Und das mit einer Arbeit, die ihr oder ihm gefällt? Zugegeben, das ist nicht einfach: Du brauchst neben einer großen Portion Mut für den Schritt in die Selbstständigkeit vor allem Spaß daran, dein eigener Chef zu sein. Auch eigenverantwortlich zu handeln darf dich nicht abschrecken. Außerdem sollten dir ein nicht enden wollendes Engagement, große Flexibilität und vor allem ein hohes Maß an Geduld nicht fremd sein. Vielleicht kennst du die Aussage, dass Selbstständig-Sein vor allem „selbst“ und „ständig“ bedeutet. Du bist für alle Tätigkeiten verantwortlich, und wenn du genügend Geld verdienen möchtest, musst du ununterbrochen für deinen Erfolg arbeiten und Leidenschaft zeigen. Außerdem heißt es oft schnell zu reagieren, auch an Sonn- oder Feiertagen, am frühen Morgen oder spät am Abend. Geduld musst du aufbringen, weil sich der ganz große Erfolg vielleicht nicht sofort einstellen wird – oder weil ein Kunde auch einmal anstrengend ist. Wenn du aber dranbleibst, dann kannst du durch das Arbeiten von Zuhause früher oder später deinen Lebensunterhalt gut bestreiten. Wenn du die eben genannten Eigenschaften mitbringst und Geld im Internet verdienen möchtest, dann haben wir genau die richtigen Tipps für dich. Aber egal, für welchen Weg du dich entscheidest, du brauchst für all diese Jobs zuerst einen Gewerbeschein. Dieser kostet ungefähr 20 Euro, die Preise variieren von Stadt zu Stadt. Zu Beginn genügt eine Anmeldung zum Kleinunternehmer. Zunächst stellt sich die Frage, was du im Internet verkaufen kannst. Fast alles lässt sich heutzutage zu Geld machen – von der Handseife bis zur ausgefeilten Software. Um mit einem Onlineshop Einnahmen zu erzielen, brauchst du vor allem eines, nämlich eine zündende Geschäftsidee. Wenn du diese für ein ganz neues Produkt oder eine Dienstleistung hast, die bisher nur selten oder noch nicht angeboten wurde, dann ist der erste wichtige Schritt getan. Du hast eventuell eine Nische entdeckt, die du mit einem Onlineshop im Internet abdecken kannst. sehr großen Traffic auf deiner Seite. Eine gut gestaltete Website bedeutet, dass sie fehlerfrei funktioniert, gut und übersichtlich strukturiert ist und alle wesentlichen Informationen zu deinem Angebot enthält. Die Website ist dein Aushängeschild – sorge also dafür, dass die Leute sie kennenlernen und nach dem Anklicken auch auf ihr bleiben. Nutze auch deine Social-Media-Kanäle: Lade deine Familie, Freunde und Bekannten ein, die Seite zu besuchen, sie mit deren Freundeskreis zu teilen und zu liken. So werden mit der Zeit die Besucherzahlen steigen. Je mehr Traffic du generierst umso größer ist die Chance, dass du dein Produkt oder deine Dienstleistung an den Mann beziehungsweise die Frau bringen kannst. Beachte diese Voraussetzungen und du wirst schon bald mit deinem Onlineshop Geld verdienen können. Ein erst seit etwa zehn Jahren existierendes Betätigungsfeld im Bereich Arbeiten von Zuhause ist der des Influencers. Als einen solchen bezeichnet man Leute, die ihre Bekanntheit nutzen, um für Produkte oder Dienstleistungen von Unternehmen zu werben. Dafür zahlen Firmen Geld, denn sie sind auf jede gute Werbung angewiesen. Nehmen wir als Beispiel Kim Kardashian: Wenn sie in einer ihrer Nachrichten oder Videos auf Instagram ein bestimmtes Produkt erwähnt oder trägt, will der Großteil ihrer Follower dasselbe Produkt haben. anmelden und gegen eine Provision auf Facebook, Twitter, Youtube oder Instagram für Produkte werben. Falls dein eigener Blog oder Kanal bei Youtube viele Follower hat, darfst du dich mit Recht zu den Influencern zählen. Die Leute folgen dir, weil du dich mit bestimmten Themen befasst und damit zur Meinungsbildung beiträgst. Wenn du Glück hast, werden irgendwann auch teilweise große Unternehmen auf dich aufmerksam und bieten dir von sich aus eine Kooperation an. Diese Art von Marketing ist mittlerweile ein Millionengeschäft. Spätestens dann hast du es als Influencer geschafft und kannst mitunter viel Geld im Internet verdienen. Die wichtigste Regel bei dieser Arbeit ist, immer authentisch zu bleiben und deinen Besuchern ausschließlich informative und interessant aufbereitete Informationen zu liefern. Wenn dein Blog bzw. Youtube-Kanal langweilig wird, sind deine Follower sehr schnell verschwunden und kommen meist auch nicht wieder zurück. Als sehr gute und sichere Methode mit dem Arbeiten von Zuhause Geld zu verdienen, gilt die Teilnahme an Onlineumfragen. Damit du an solchen Befragungen teilnehmen kannst, musst du nur mithilfe einer kostenlosen Anmeldung einen Account bei verschiedenen Marktforschungsinstituten erstellen. Die Marktforscher laden dich dann zu Interviews ein, die auf dein Profil passen. Für die Teilnahme an einer Umfrage erhältst du ein Honorar, das bis zu 15 Euro beträgt. Wenn du dich an sehr vielen Untersuchungen beteiligst, kann ein beachtlicher Betrag herauskommen. Erfahrungen zeigen allerdings, dass man als Teilnehmer häufig schon nach den ersten Antworten aussortiert wird, weil die gemachten Angaben nicht zum Thema der Umfrage passen. The BBC’s long running TV show, Dragon Dens, is not set to be renewed for a 16th season. The show pits budding entrepreneurs against would-be investors, in the hopes of making a deal to secure an investment in the entrepreneur’s company or product. Originally airing in the UK in 2005, the show is based on the original Japanese series, Money Tigers. The show has featured a very talented cast of investors, notably: Peter Jones, Theo Paphitis, Deborah Meaden and Duncan Bannatyne. Although there are only 5 Dragon Investors on the show at any one time, throughout the history of the show, there has been a rotating cast of 17 investors. This has long been a problem for the producers, as finding highly skilled investors, who are willing to leave their private lives and other business commitments behind and become celebrities, is quite difficult. Consequently, this has caused Dragons’ Den to suffer from what many fans considered, sub-par investors. That’s just a belief system. Think and you shall become. If you think you can’t get richor even make a sizable amount of money by investing it into lucrative short-term investment vehicles, then it’s much more of a mindset issue than anything else. You don’t need to invest a lot of money with any of the following strategies. If you have a $1000 to invest, you can make money a variety of ways. But there are some methods that trump others. The play here is speed. We’re not talking about long-term buy-hold strategies. Those are terrific if you’re looking to invest your capital over at least a two-to-five year period. We’re talking about ways you can make money fast. Raghee Horner of Simpler Futures says that “long term interest rates are the next big trade,” while Jim Cramer of Mad Moneysays that “there are tons of people who are late to trends by nature and adopt a trend after it’s no longer in fashion.” By jumping in and out of long-term investments like that you’re far more likely to lose your shirt than if you time your short-term plays just right.